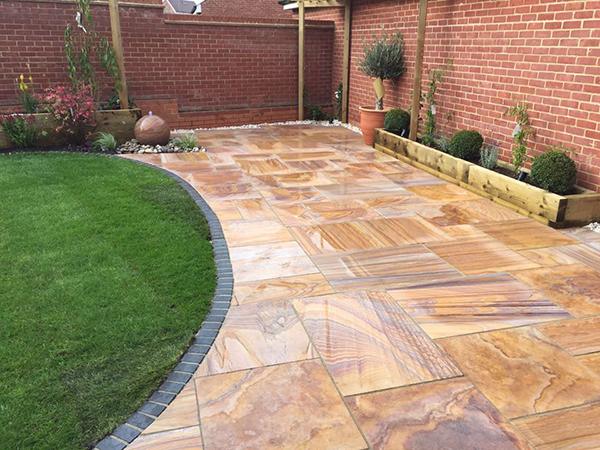 EM Rainbow smooth premium natural sandstone contemporary patio pack. 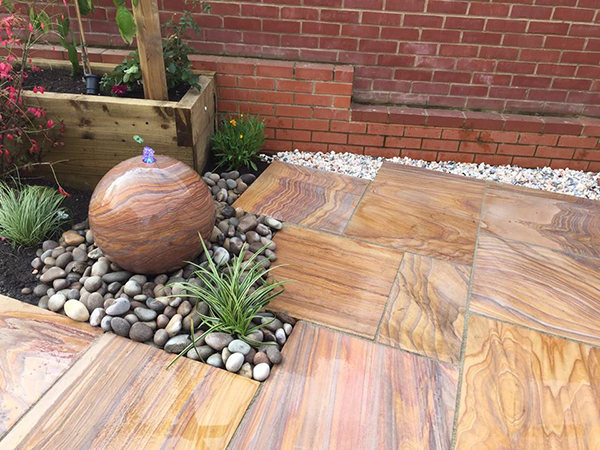 This distinctive paving brings beauty and a vibrant mixture of colour to your outdoor space. When wet these colours are enhanced. 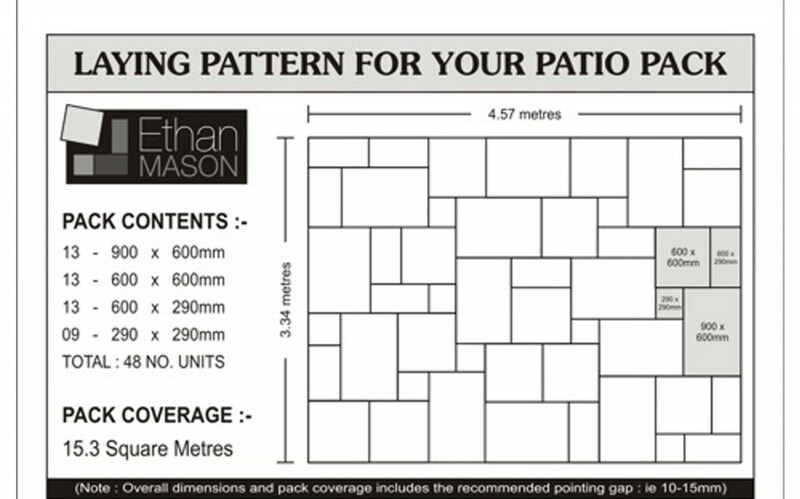 Each paving stone also has its own unique pattern and individual characteristics. 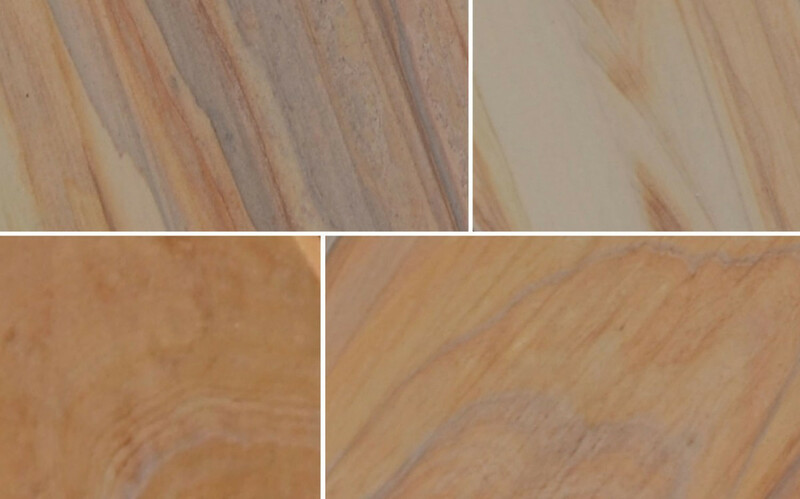 Generally a good blend of colours in the sandstone that will hopefully show up fully once washed down. Only negative points is that the edges seem a bit rough in places and the thickness of the slabs appear different between each one. However for the money paid compared to other brands, they seem very reasonable.